In the decade from 2000 to 2010, the Mexican-American population grew by 7.2 million as a result of births and 4.2 million as a result of new immigrant arrivals. This is a change from the previous two decades when the number of new immigrants either matched or exceeded the number of births. The current surge in births among Mexican-Americans is largely attributable to the immigration wave that has brought more than 10 million immigrants to the United States from Mexico since 1970. Between 2006 and 2010 alone, more than half (53%) of all Mexican-American births were to Mexican immigrant parents. As a group, these immigrants are more likely than U.S.-born Americans to be in their prime child-bearing years. They also have much higher fertility. Meanwhile, the number of new immigrant arrivals from Mexico has fallen off steeply in recent years. According to a Pew Hispanic Center analysis of Mexican government data, the number of Mexicans annually leaving Mexico for the U.S. declined from more than one million in 2006 to 404,000 in 2010-a 60% reduction. This is likely a result of recent developments in both the U.S. and Mexico. On the U.S. side, declining job opportunities and increased border enforcement may have made the U.S. less attractive to potential Mexican immigrants. And in Mexico, recent strong economic growth may have reduced the "push" factors that often lead Mexicans to emigrate to the U.S.
As a result, there were fewer new immigrant arrivals to the U.S. from Mexico in the 2000s (4.2 million) than in the 1990s (4.7 million). However, the Mexican-American population continued to grow rapidly, with births accounting for 63% of the 11.2 million increase from 2000 to 2010. At 31.8 million in 2010, Mexican-Americans comprise 63% of the U.S. Hispanic population and 10% of the total U.S. population. According to Pew Hispanic Center tabulations from the March 2010 U.S. Current Population Survey, 39% of Mexican-Americans-or 12.4 million-are immigrants. With the exception of Russia, no other country in the world has as many immigrants from all countries as the U.S. has from Mexico alone. Nor does any country in the world have as many citizens living abroad as does Mexico. According to the World Bank, more than 10% of Mexico's native-born population lives elsewhere, with the vast majority (97%) of these expatriates living in the United States. The 11.2 million increase reflects the net change in births, deaths and net migration of the Mexican-American population in the U.S. between 2000 and 2010. Christopher Rios (November 10, 1971 – February 7, 2000), better known by his stage name Big Pun (short for Big Punisher), was a Puerto Rican rapper who emerged from the underground rap scene in The Bronx in the late 1990s. He first appeared on albums from The Beatnuts, on the track “Off the Books” in 1997, and on Fat Joe’s second album Jealous One’s Envy in 1995, on the track “Watch Out”, prior to signing to Loud Records as a solo artist. 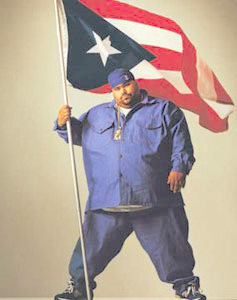 Big Pun’s career was cut short in 2000 at age 28 when he died of a heart attack. 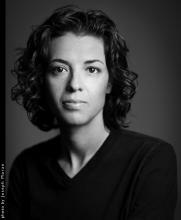 Quiara Alegría Hudes is an award-winning author of plays, musicals, screenplays and other literary works. Though her works are varied in style, she combines an intellectual curiosity with a humanistic vision to tell new American stories. Her work for musical theater includes Broadway’s Tony Award-winning Best Musical In the Heights (Tony Nomination for her book, Pulitzer Prize finalist, Lucille Lortel Award, Outer Critics Circle Award) and the children’s musical Barrio Grrrl! (book and lyrics, Helen Hayes nomination for Theater for Young Audiences). According to Google's nifty Ngram Viewer, use of the term 'Hispanic' in American English books peaked in the early 1990s and has been slipping ever since. In contrast, 'Latino' has been surging since the 90s.